Evyty Pty Ltd. 's philosophy is to make your living and working environment more colorful and beautiful, satisfaction and value for money! 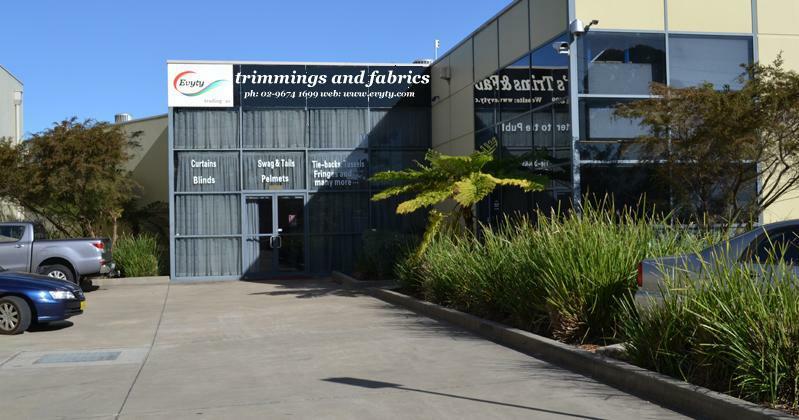 Established in 1992, Evyty is a Sydney based importer and wholesaler of furnishing fabrics and trimmings with our Head Office,Warehouse,Show-room and Work-room in Seven Hills. 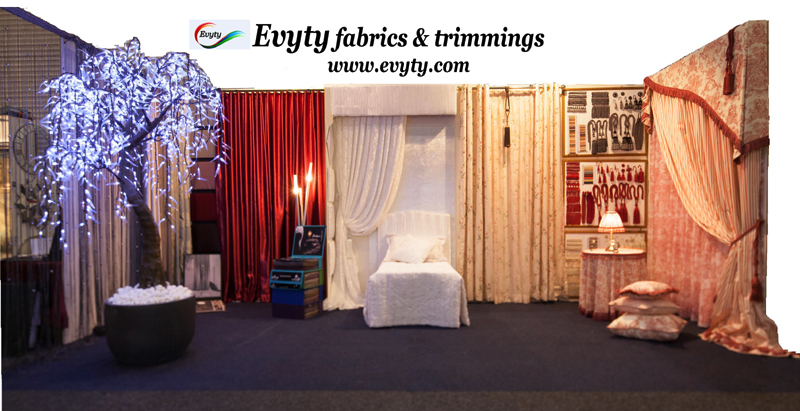 Evyty is a premier importer, stockiest and wholesaler of quality furnishing fabrics and trimmings in Australia. 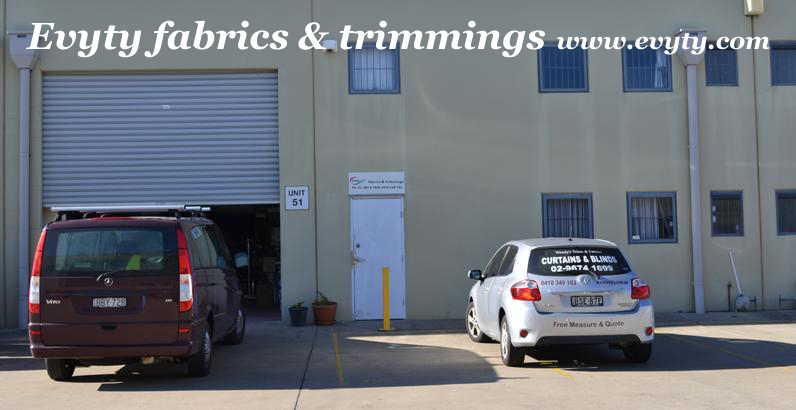 Our commitment is to provide only quality stocks, and the best service by giving our customers, interior decorators,designers and upholsterer free worry ordering and delivery.